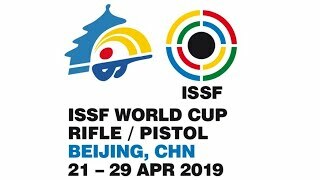 The People's Republic of China rockets up in the overall medal standings of the 2013 ISSF Rifle and Pistol World Cup Final in Munich, securing the 3rd Gold medal out of 4 events so far conducted. Today's Gold medallist name is Yang Haoran, and he made by beating one of the athletes who inspired him, the reigning Wolrd Champion and 2012 Olympic Champion Niccolo Campriani of Italy. Today's youngest finalist, Yang Haoran, 17, form the People's Republic of China, won the 10m Air Rifle Men event, showing once again his great shooting skills, finishing in first with 205.9 points. 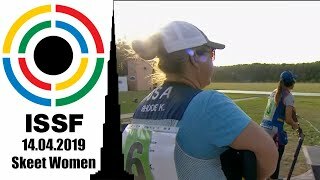 Yang has indeed been one of the protagonists of this year's ISSF World Cup Series, winning two World Cup Stages (here in Munich last May and in Fort Benning, GA, USA) at his first participation in the Series. Today, the young Chinese champion shot a consistent average throughout the whole match, gaining more than a point of advantage on his followers, just to jeopardize his match with a disappointing 9.1-point last shot. 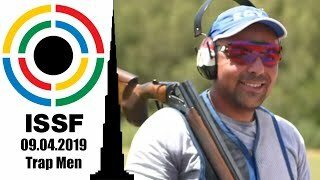 But the solid lead he had built over the first shots protected him from his teammate Wang Tao, the 30-year old winner of this year's ISSF World Cup Stage in Changwon, who placed in second with 205.7 points (just 0.2 behind Yang). With 185.9 points, the Bronze medal went to Italy's reigning world champion Niccolo Campriani, 26. Campriani fought neck and neck against this year's two-time World Cup Stage finalist Juho Kurki, 21, from Finland, who eventually took the fourth place with 164.9 points, and against the 2010 Youth Olympic Games Silver medallist Illia Charheika, 20, from Bulgaria, who took the fifth place with 143.6 points. 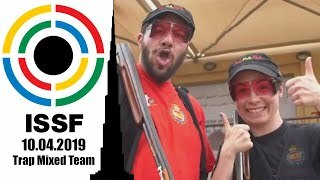 Campriani has just returned from a training camp in China, where he gave some lessons about his techniques to the same Chinese shooters who beat him today. “I have been shooting with Nicco Campriani before. He lived with us for a few weeks in Beijing, for a training camp, last month. That helped me a lot. His passion for this sport is inspiring.” Today's winner Yang Haoran said. 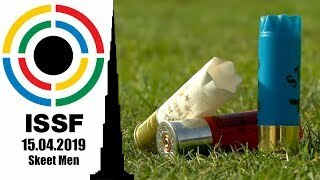 Yang's senior teammate, the 2004 Olympic Champion and 2008 Olympic Silver medallist Zhu Qinan, who came here to Munich to defend the title he had won at last year's ISSF World Cup Final, got out of the elimination-style final round after the 12 shot, placing in sixth with 122.5 points. He was followed by Peter Sidi of Hungary, 35, seventh today with 101.5 points, and by Israel's Sergey Richter, 24, who placed in 8th with 81.6 points.